Do Professional Cyclists Live Longer Than You? Professional cyclists seem to have built a reputation surrounding premature death. While it may seem morbid, professional cyclists are often linked to taking questionable performance-enhancing drugs or being involved in catastrophic bicycle crashes, both of which may lead to tragic death. So, when a new study was released claiming the exact opposite, cyclists around the globe raised their helmets in question. Do professional cyclists really live longer than the average person? Quite simply, they live a lot longer. Using French participants from the Tour de France, the study serves to compare the lifespan of a professional cyclist against the lifespan of an average person. In this study, the average lifespan of 786 French cyclists, who had participated in at least one Tour de France since 1947, were pinned against the lifespan of average Frenchmen. The results were rather astonishing: male professional cyclists are likely to live a massive 6.3 years longer than their counterparts in the general public. These findings were recently presented at the Congress of European Society of Cardiology in Amsterdam. As of September 1st, 2012, 208 deaths had been recorded of the 786 French cyclists in the study. These metrics marked a mortality rate that is 42 percent lower than that of the general population used as the study’s comparison. Many explanations for the difference in lifespan for professional cyclists lie in the healthy lifestyle that comes natural to the cycling community. In addition, the propensity to ride after their professional careers end as well as the limited about of smoking associated with professional cyclists lends more credibility to the study’s claims. What is particularly interesting about this study is that the professional cyclists lived longer despite the massive doping trends taking place throughout the years. Using performance-enhancing drugs in professional cycling is no stranger to the sport. The 1950s and 1960s marked an era of amphetamines, the 1970s and 1980s marked an era of anabolic steroids, and since the 1990s, EPO and growth hormones have continued to haunt the cycling community. However, the study did make mention that more time was necessary to confirm the trends regarding the post-1990 doping period. What is your opinion regarding professional cyclists having a longer lifespan than the general population? Does this study encourage you to get on your bike more often? 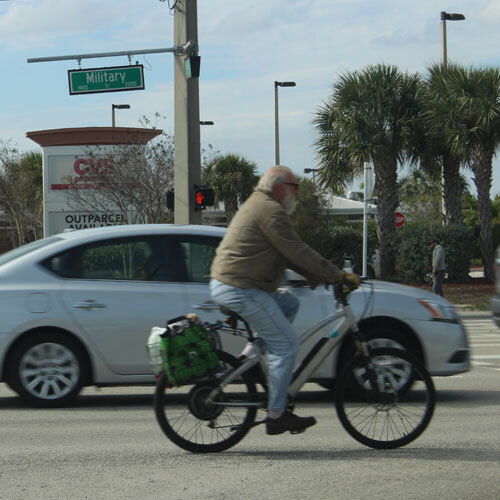 Share your feedback and opinion below to join in on Florida’s cycling community chatter!